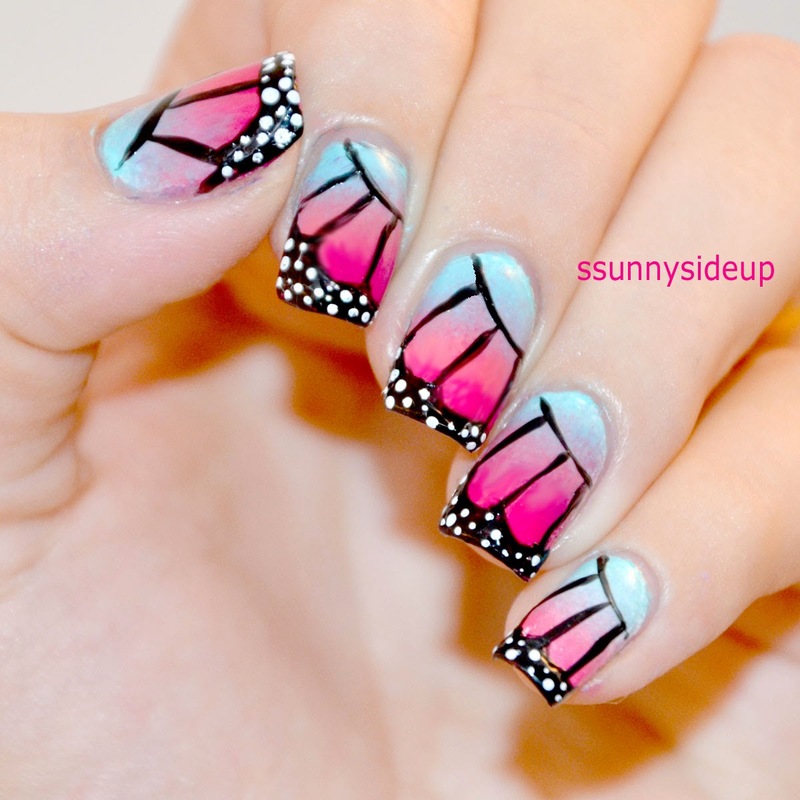 Those nails look super cute and are super easy to make. To show you how it works I made a pictorial you can find down below. catrice "39 black to the roots"
I've started with applying one layer of catrice brightening base coat. It's a white base which dries really quickly. It's part of their new sortiment and it really helps with the color popping out. The colors looks brighter and it dries within a minute. 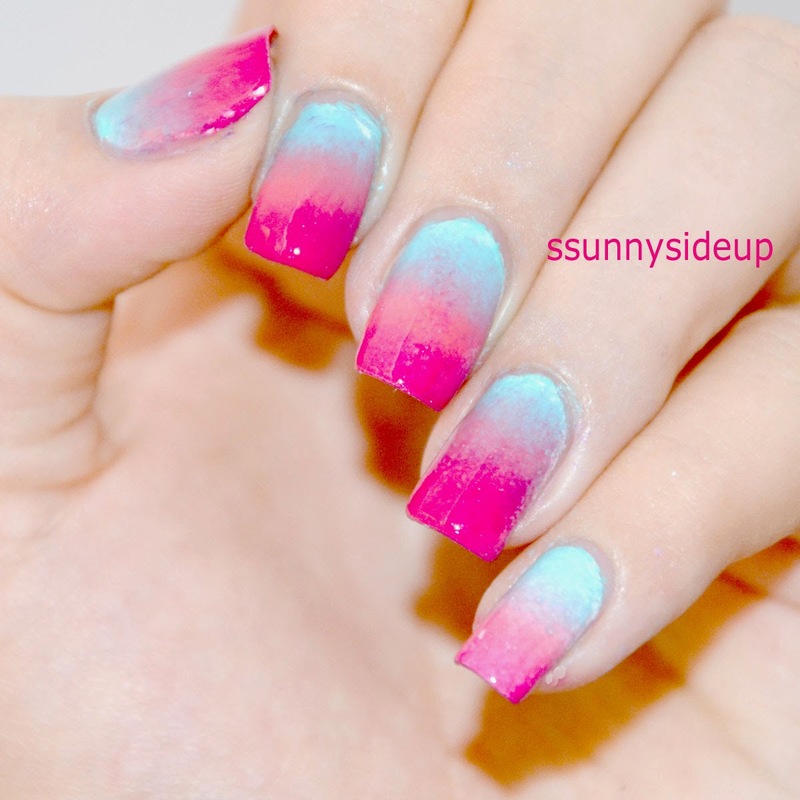 Afterwards I took a make-up sponge, put one layer of each color next to each other and sponged it on my nails. Two layers and a layer of topcoat right after when the polish was still wett. For a more detailed description click here. 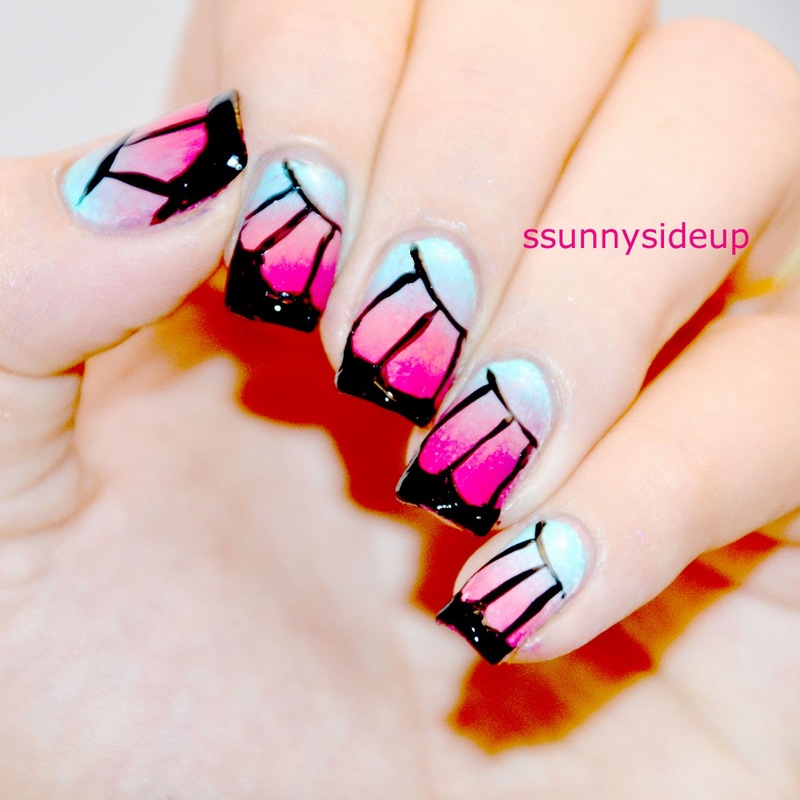 On this gradient nails I painted a butterfly with some simple steps which you can see below in the pictorial. 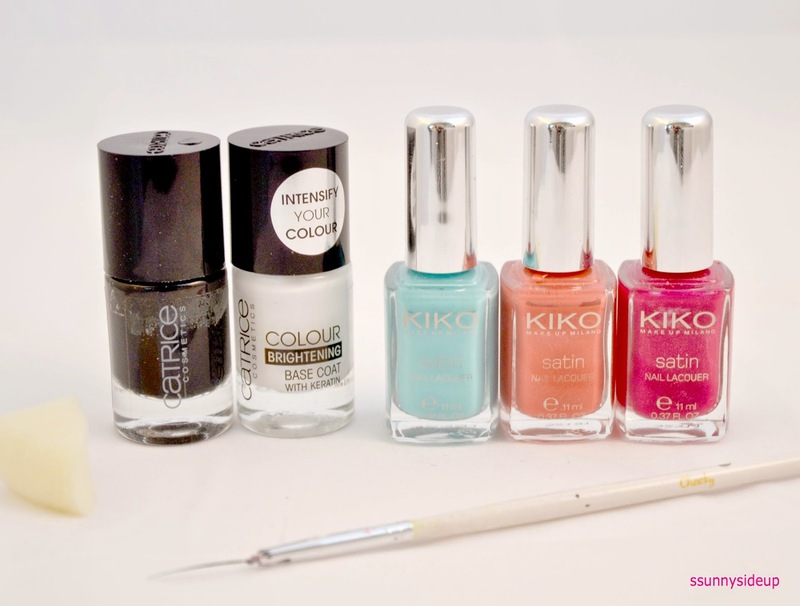 Add top coat and your nails are finished.